This printer accommodates up to a 12" x 12" ID screen and includes an easy to use operator interface, unlimited recipe storage as well as automatic vision alignment of the substrate to the screen image. 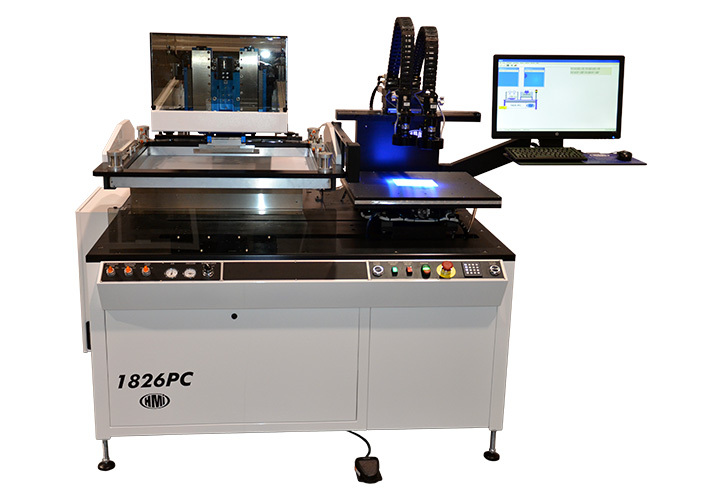 HMI's MSP-886 is an automated precision screen printer equipped to interact with the operator or support the demands of an integrated production line. The MSP-886 takes the MSP-885PC to the next level: full automation. 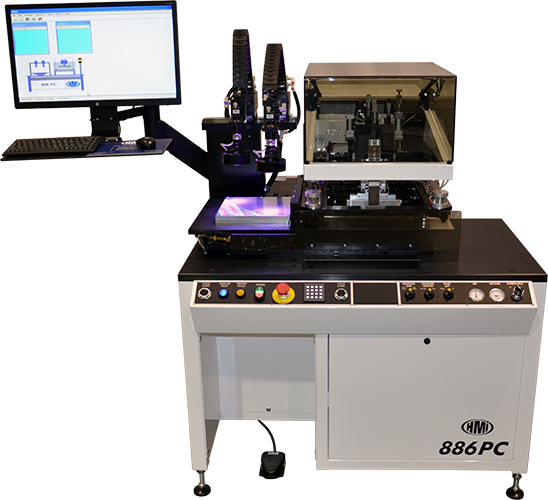 All the precision elements of the MSP-885PC are now combined with a fully automated vision system. 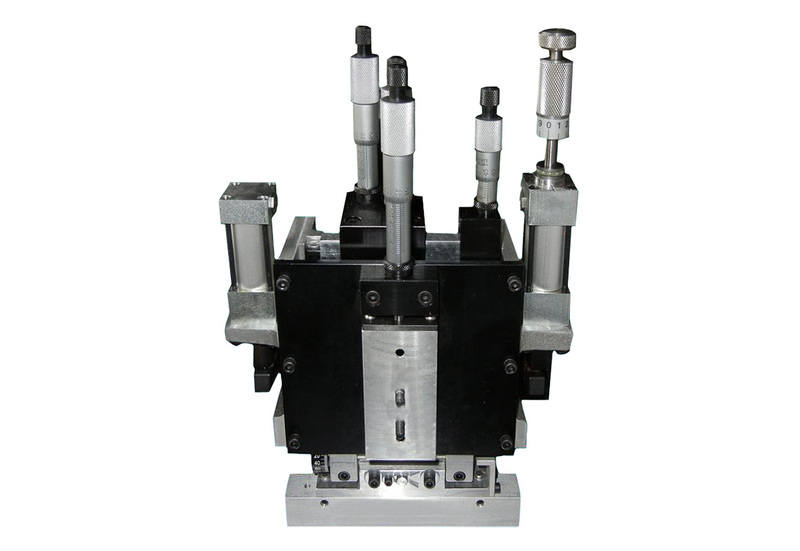 The manually adjusted X, Y, Ø micrometer stage is replaced by a precision motorized X, Y, Ø stage. 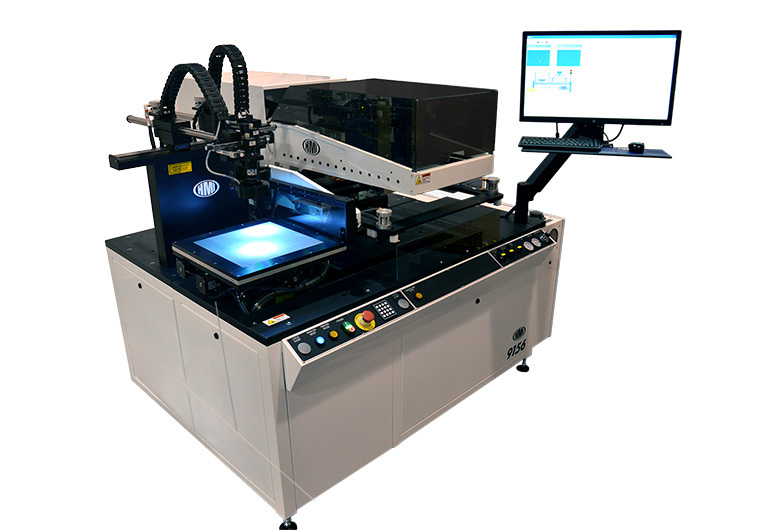 Combined with an optional programmable print head, the entire printer can be controlled through the computer's graphical interface without any manual settings. 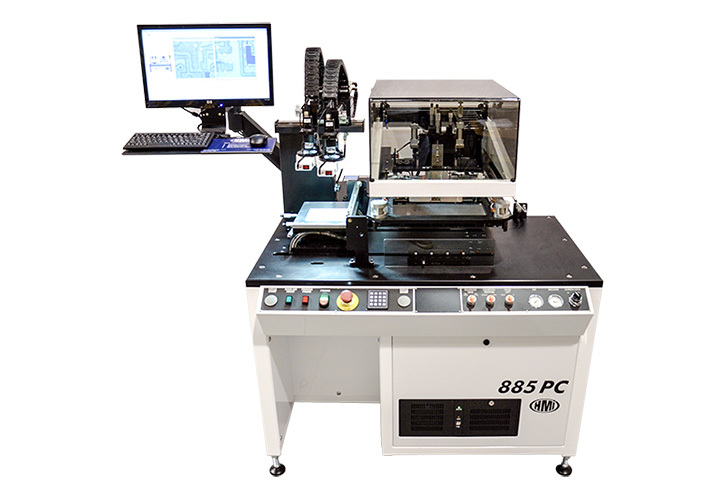 The MSP-886 can be a hand loaded and unloaded standalone printer, or fully integrated into an automated print line. Printer setup parameters can be saved and recalled from the industrial computer. Substrate to screen alignment is fully automatic. 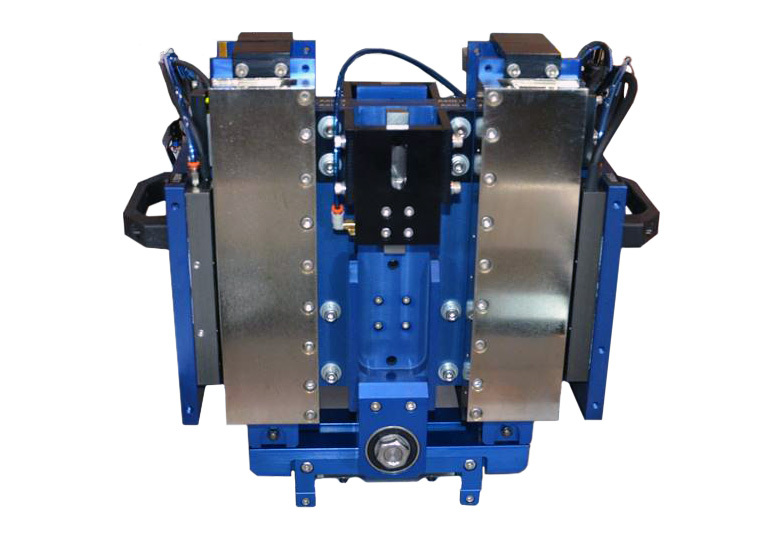 Optional programmable print heads eliminate any manual machine settings. 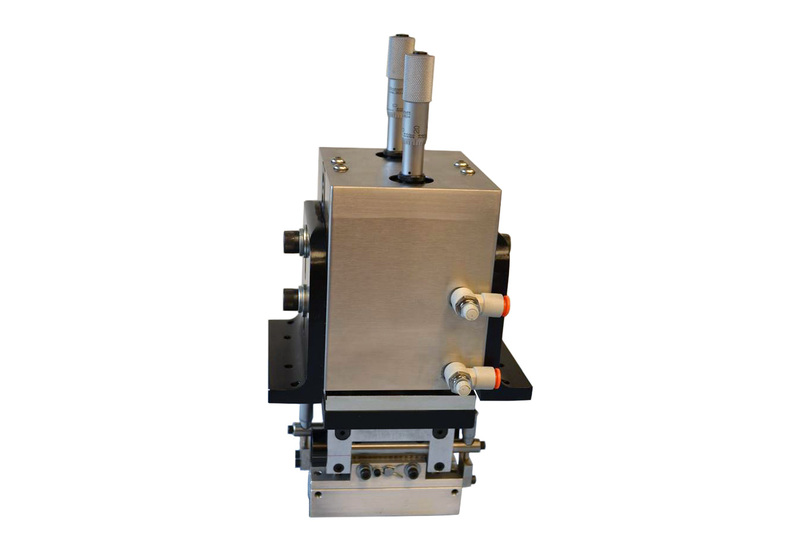 The MSP-886 can easily interface with other interactive handling, inspection and processing equipment in an automated assembly line.